A version of this article appears in the March/April 2012 issue of Home Energy Magazine. The project started out as a quest to build a relatively conventional, affordable home with high energy efficiency. The end result was the region’s first near net zero energy home and one of the most energy-efficient homes ever built in the state of Virginia. 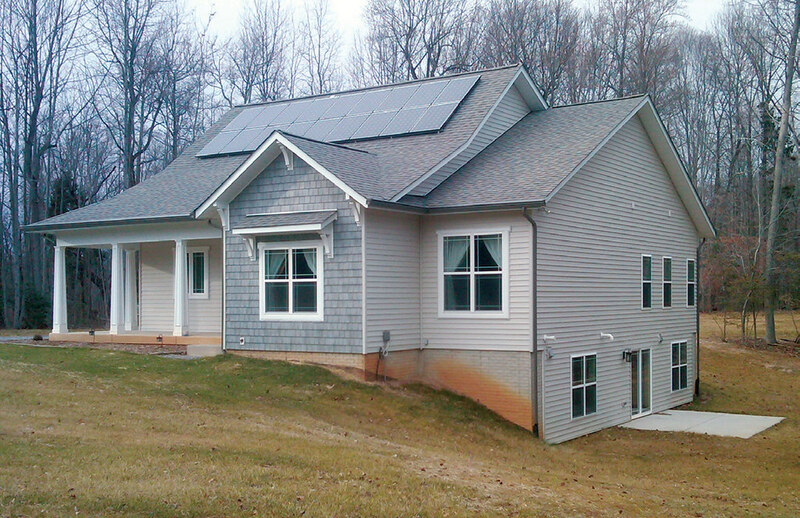 In March of 2011, the green-building program EarthCraft Virginia presented this home with the Most Energy-Efficient Home of the Year award for 2010, choosing it over 302 other EarthCraft-certified homes. 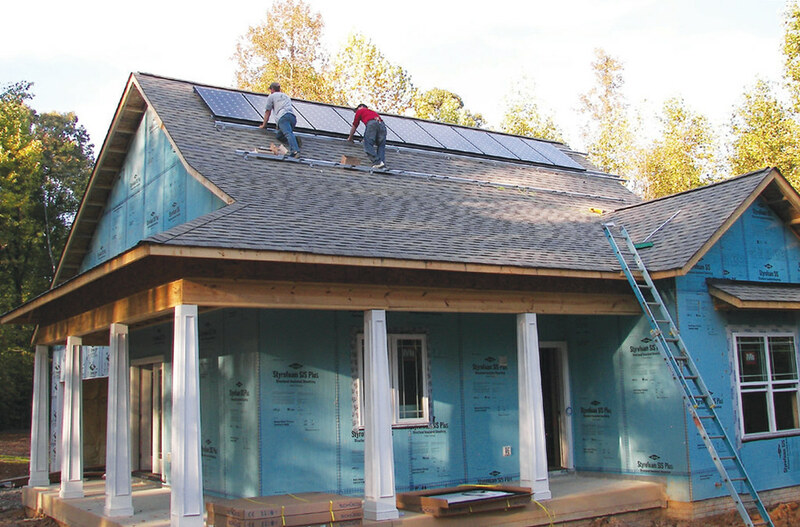 EarthCraft Virginia is a 501c3 nonprofit established in 2006 that provides a blueprint for builders to construct healthy, comfortable homes that reduce utility bills and protect the environment. It is an offshoot of the EarthCraft green-building program founded in Atlanta, Georgia, in 1999 by Southface Energy Institute. Since 2006, the efforts of this residential green-building program in Virginia have far surpassed the national average, with EarthCraft certifying its 1,000th home in 2011. The Rasmussens consulted with EarthCraft representative Dan Dukes to help them locate EarthCraft-certified builders in their area. When they decided on a floor plan, they contacted two builders to bid the job. One builder came back with a stock plan that incorporated their energy efficiency ideas. But Jeff Hall of J. Hall Homes, Incorporated—who built the home—told them he could build the plan they wanted and not only integrate the green features they desired, but go even further to make their house highly energy efficient. “We did not anticipate the idea of near net zero, but Jeff led us to several things that would help us achieve that,” says Rasmussen. Sitting on 2 acres, the single-story home is 3,537 square feet, with a full basement. The first floor is 1,493 square feet. 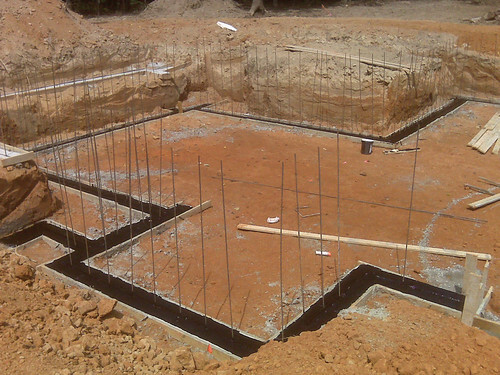 The basement has 959 square feet of finished space and 596 square feet of unfinished space. There is also a 489 ft2 attached garage. Hall—a graduate of Roger Williams University, in Bristol, Rhode Island, with a BS in industrial technology, a concentration in construction science, and a minor in business—started working in the home-building industry in 1993. He started his own company, J. Hall Homes, Incorporated, in 1999. “Being involved in green building and energy efficiency is important to me,” says Hall, who built his first Energy Star home in 2006. In 2008, he started classes to become an EarthCraft Virginia-certified home builder. The Rasmussen house, completed in 2010, is Hall’s second EarthCraft project. This house was also Hall’s first DOE Builder’s Challenge home. This voluntary program helps participating home builders make the benefits of energy-efficient building clear to buyers and differentiates their best energy-performing homes from other products in the marketplace. The program provides a framework for continuous improvement to propel the market toward net zero energy performance. 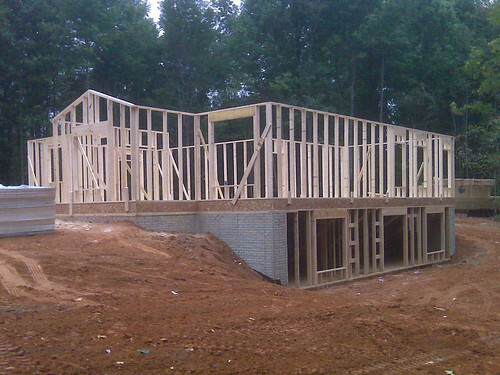 The exterior walls are built with 2 x 6 studs and 24-inch-on-center framing. “Twenty-five percent of all walls are made up of studs, and the wood has an R-value of 1 per inch,” says Hall. “So we decreased the amount of wood using the 2 x 6, which increases the wall surface area for insulation and is still structurally sound.” One-inch-thick structural insulated sheathing (SIS) with an R-value of 5.5 is adhered to the walls and headers, and every penetration of the wall cavity (plumbing, drains, electrical, etc.) is sealed with caulk or foam. 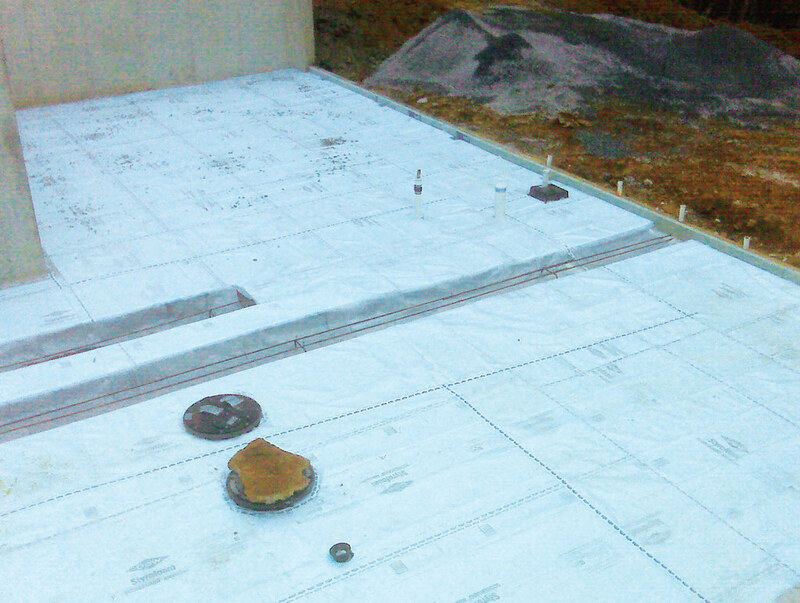 The exterior wall cavities are filled with high-density fiberglass batt insulation. There is R-22 blanket fiberglass insulation on the inside of the basement walls. The main floor has R-21. While standard code dictates a minimum of R-13, the total wall insulation on the first floor (including the 5.5 SIS) is R-26.5. The house is clad in vinyl siding. Completing the thermal envelope is a truss-built roof system. While code dictates a minimum of R-38 for flat ceilings, this house’s attic ceiling insulation is R-50. The roof is sheathed in 50-year Energy Star-rated shingles made of a heat-reflective material. According to the manufacturer, these shingles reflect the sun’s rays, reducing energy costs in the home by as much as 20%. Due to the reflection of the rays, the roof’s surface temperature can be significantly decreased, thus decreasing the amount of heat transferred into the house. This in turn reduces the amount of air-conditioning needed in the home by as much as 15% during peak cooling demand. Hall changed the roof design to accommodate Schuuco PV solar panels rated at 3.6 kW. He faced the front of the house due south on the lot and placed solar panels on it for maximum solar gain. He also designed the roof pitch to allow the panels to absorb the maximum amount of sunlight. The local utility supports net metering, and the Rasmussens are getting credit for all the surplus renewable energy they are producing. An energy recovery ventilation (ERV) system circulates air through the house and is designed to meet the requirements of ASHRAE 62.2. While an average home’s natural ACH is around 0.5–0.6, blower door testing revealed that this home has an ACH of 0.06, according to Dukes of EarthCraft. “EarthCraft has never seen a house this tight,” he says, adding that mastic used to seal all the ductwork in the HVAC system produced a duct system with virtually no leakage. The increased efficiency of the duct system allowed for a smaller, less expensive heat pump—going from a 3-ton unit to a 2-ton unit. There is also an air purifier system to clean the incoming outdoor air being supplied to the house. 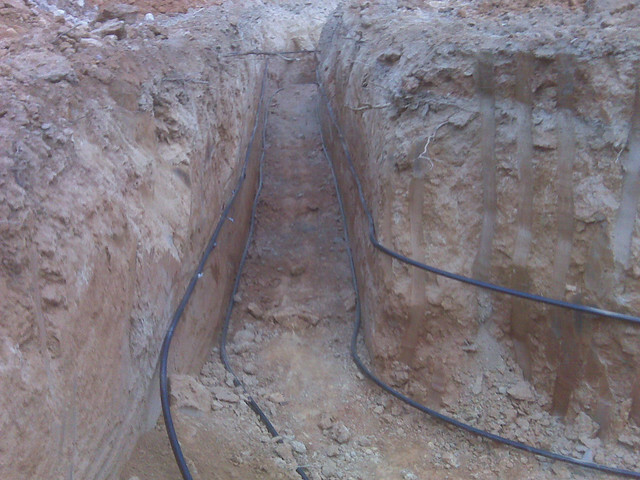 The HVAC is a geothermal heating-and-cooling system with 320 feet of horizontal pipe buried 5 feet deep near the house. The liquid in the geothermal loop runs through a heat exchanger and provides hot water for use in the house before it cycles back through the system. “During the cooling season, when you run your A/C you are getting hot water for free,” says Hall. A standard water heater tank stores the heated water, but the house also has a 98% energy-efficient propane tankless water heater. “The tankless water heater has a circulation pump with a timer built in that runs only when you set it. A circulation pump moves the water into the system and preheats the water. By preheating the water in the loop, it is hot right away and therefore reduces water waste because you do not have to run the water so long to get it hot,” says Hall. The house’s passive-solar design also adds to its energy efficiency. Most of the windows are on the south-facing front of the house, with no windows on the north and few on the east and west. Overhangs above the low-e argon windows and the overhang of the wraparound porch deflect the sun in summer when the sun is high, and bring in light and heat in winter when the sun is low. The amount of space cleared around the house was determined by how large a shadow the trees cast on the house. Because three rooms have no windows, sun tubes were installed to provide natural light. The rest of the lights in the house are part of the Energy Star Advanced Lighting Package. Guidelines for the Energy Star, Builder’s Challenge, and EarthCraft programs encourage a HERS rating index of 70, or a home that is 30% more efficient than standard. The Rasmussen house has a HERS index of 21, or about 79% more efficient than standard; this is believed to be the best score ever achieved in the state of Virginia. The house also received an EarthCraft Virginia Platinum certification, which is the highest possible level. An EarthCraft certification requires 150 points; Gold certification requires 200 points; and Platinum requires 230 points. This house received 330 points. As for cost, Hall says a standard home of similar size would cost about $250,000 (land not included) to build. Adding all these energy upgrades while reducing costs in other areas brought the house total to $320,000. “We tried to spend the money where we got the most for our dollar, utilizing cheaper items where we could to offset the cost,” says Hall. The solar panels qualify for a 30% tax credit, as does the geothermal heating-and-cooling system. And because of the energy efficiency of the thermal envelope, the geothermal system allows for a smaller, less expensive heat pump. Having lived in the house for over a year, the Rasmussens have closely watched its energy performance (see Table 1) and have tried to adjust their habits to make it even better. “Some of the correlation of energy usage and the house is about us learning how to live with the system better,” says Rasmussen, pointing out that the first two months of 2011 show the highest electricity usage (683 kWh in January and 732 kWh in February). “In January and February it was high, and I realized it was because of how I had set the timer on the water heater and that it works differently in the summer than in the winter. The spike usage was the time it was making new hot water after hot water had been used up. 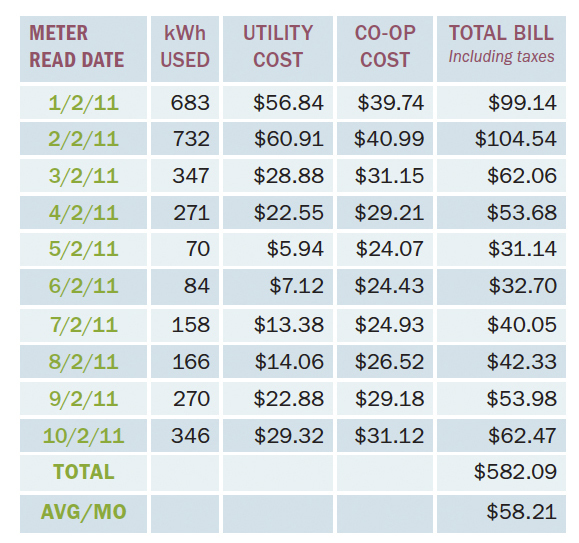 So the bills were higher until we realized how to manage the system better.” Average usage for the first nine months of 2011 was 309 kWh per month. The Rasmussens have also experienced many of the benefits of their super energy-efficient home. “When the air-conditioning was running a lot in the summer, there were times I don’t think the water heater was working at all, and we were getting 120°F out of the geothermal,” he says. The electrical co-op’s hourly usage report shows that during the winter the solar panels provide 30–40% of the home’s daily electrical usage needs. During late spring and through the summer the panels provide upward of 70%, and sometimes 100%. In April of 2010 the house was producing enough energy to run itself, so they actually achieved net zero that month. Rasmussen says their average monthly electric bill for the first ten months of 2011 was $58.21, with the lowest bill in May at $31.14 and the highest in February at $104.54 (see Table 1). Ironically, in most months the cooperative’s monthly distribution service charge is more than the actual energy usage charge. For more information on EarthCraft Virginia, visit www.ecvirginia.org. To learn more about DOE’s Builder’s Challenge, go to http://www1.eere.energy.gov/buildings/building_america/about.html, go to www.aeanyc.org/distancelearning. Deborah Rider Allen grew up in Richmond, Virginia. She writes for businesses and publications, including Home Energy, the Richmond Times-Dispatch, Housetrends magazine, and R-Home magazine.